Mastering the healing art for health and tranquility (Video Edition). 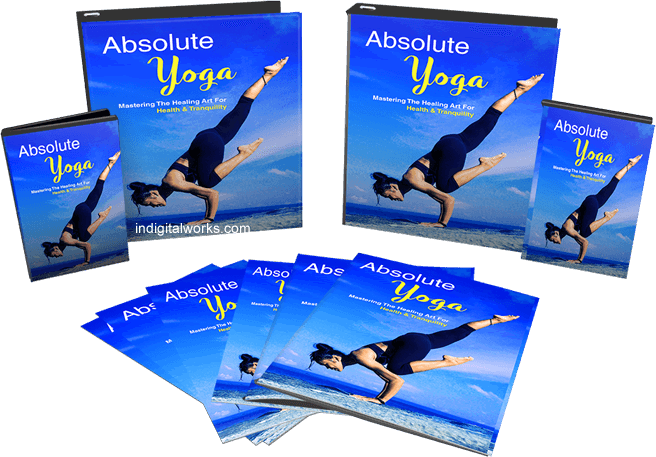 The Absolute Yoga is the proven practice to improve your physical, mental, and spiritual aspects of your life. With this video course you will gain the EXACT method that was practiced 5,000 years ago to achieve optimum health, mindfulness and spiritual enlightenment. Get started with healthy living. Gain the strength & flexibility of a gymnast without working out at the gym. Get the benefit of exercising & meditating at the same time. Perfect your body posture so you will look good. Strengthen your spine so you will move better and pain-free as you age. Have a disease-free life by boosting your immune system with no medication. Be more relax & calm in this hectic world. Achieve peace of mind anytime on demand. Get a better sleep at night so your body can recover at its best to feel fresh the next day. Be happier & calmer and people will start to like you better. Boost your self-esteem & self-confidence. Get intense focus without the help of caffeine or any enhancement drugs. Remove internal pain and develop your own inner strength.